20Med's proprietary nanogels are highly innovative nanoparticles, designed with several smart bioresponsive functions making them efficient in transport, cellular uptake, and release of active gene and drug molecules into the cytoplasm of target cells. 20Med Nanogels are flexible in functionalization and their unique properties make them applicable to a broad range of medical therapeutics. 60° Pharmaceuticals (60P) was founded in 2010 with a mission to discover, develop and distribute new medicines for treatment and prevention of tropical diseases. The company is focused on delivering new drugs at affordable cost while providing an attractive return for investors. 60P is a unique company whose core business is tropical disease drug R&D. 60P has embraced an open innovation approach to reduce the time, cost, and risk needed to build a portfolio of drug discovery and development projects. ABIVAX is an innovative biotechnology company focused on the discovery and development of anti-viral drugs and immunotherapeutics for prophylaxis and/or treatment of some of the world’s most life-threatening viral diseases. ABIVAX leverages three technology platforms for drug discovery: an antiviral, an adjuvant, and a hyperimmune platform. ABX464, its most advanced compound, is currently in Phase II clinical trials and is a first-in-class oral small antiviral molecule which blocks HIV replication through a unique mechanism of action. In addition, ABIVAX is advancing multiple preclinical immunotherapies and antiviral candidates against various viral targets (i.e. chikungunya, ebola, dengue), several of which are planned to enter clinical development within the next 12 to 18 months. 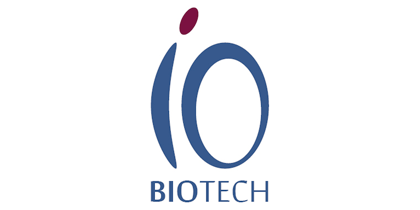 Acticor Biotech develops a biologic drug candidate based on academic research on a platelet glycoprotein called GPVI. GPVI is a platelet receptor of collagen and polymerized fibrin.The drug candidate ACT017 is a humanized fragment of monoclonal antibody which binds to GPVI and inhibits platelet adhesion and aggregation on collagen and polymerized fibrin. The efficacy and innocuity of ACT017 have been demonstrated in in vitro and in vivo animal models. Acticor Biotech is presently closing the drug discovery phase of the development by optimizing the compound for industrial production. The preclinical phase will start in early Q1-2017 and the goal is to start clinical trials in human Q1-2018. At Anteo we deliver cutting-edge solutions by creating nanometer thin molecular glues that bind all sorts of materials. Anteo is a pioneer in the relatively new science field: Supramolecular Chemistry. Anteo uses its patented technology to develop, manufacture and commercialise proprietary surface coatings for use in healthcare, life sciences and beyond. Its core technology is realised in the Mix&Go product range which delivers product solutions to the challenges of establishing biological interfaces, or other properties using synthetic and often incompatible materials. Since the company's foundation in 2005, the Apogenix team has developed a promising portfolio of innovative immuno-oncology therapeutics for the treatment of cancer and other malignant diseases. These protein therapeutics target critical pathways involved in the growth, migration, and apoptosis of diseased cells and have the potential to transform the treatment of oncological and malignant hematological diseases. Founded in 2007, Curetis is a molecular diagnostics company which focuses on thedevelopment and commercialization of reliable, fast and cost-effective products for diagnosing severe infectious diseases. The diagnostic solutions of Curetis enable rapid multi-parameter pathogen and antibiotic resistance marker detection in only a few hours, a process that today can take up to days or even weeks with other techniques. To date, Curetis has raised EUR 44.3 million in an IPO on Euronext Amsterdam and Euronext Brussels and private equity funds of over EUR 63.5 million. The company is based in Holzgerlingen near Stuttgart, Germany. 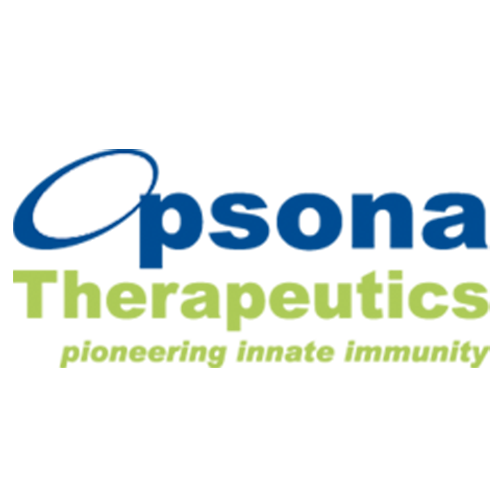 Curetis has signed collaboration agreements with Heraeus Medical and Cempra Inc. as well as several international distribution agreements covering many countries across Europe, the Middle East and Asia. Cyxone AB is a biopharmaceutical company developing drugs based on cyclotides, a natural class of plant proteins, for immune-related diseases. Cyxone’s focus is to bring its drug candidate against MS, T20K, through preclinical studies and phase I clinical trials. The TOWWERS program is a dynamic, interactive, web clinical registry that shares the patient clinical summary (the DOC-P*) amongst healthcare professionals and patients, and enables to capture real-world evidence in a populational environment, regardless of their affiliation in the healthcare system. The TOWWERS program will begin as a pilot project in Quebec. Once the beta-test will be strongly tested, our objective will then to share the program with other provinces in Canada, Europe, Australia and USA. *DOC-P = Diagnosis, Optimal treatment plan, clinical markers and plan of actions. Eligo Bioscience was founded in May 2014 by scientists and professors from the Rockefeller University (David Bikard & Luciano Marraffini) and the Massachusetts Institute of Technology (Xavier Duportet & Timothy Lu). After winning several startup competitions, the company has recently raised a €2.4M seed-funding round and has settled its headquarters within the Pasteur Institute in the heart of Paris. 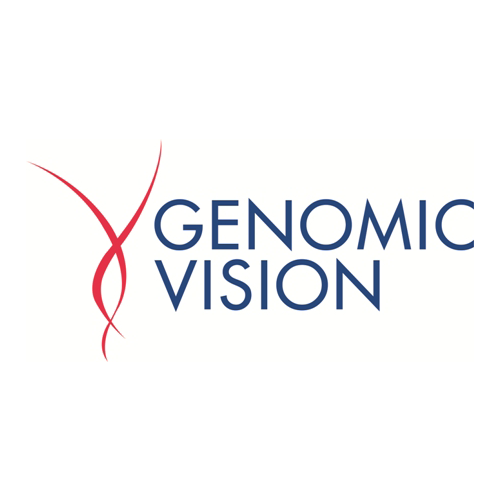 Genomic Vision (Euronext: GV) leverages its proprietary DNA molecular combing platform in the life sciences research and IVD markets. DNA combing is an extremely powerful tool for the direct visualization of individual DNA molecules at a very high resolution to uncover quantitative and qualitative genome variations that are telltale signs of cancer and other severe diseases. The Company’s IVD portfolio includes a commercial test for facioscapulohumeral dystrophy (FSHD), as well as others in development for breast and colon cancer, spinal muscular atrophy (SMA) and human papilloma virus (HPV). In the life sciences research market, the Company deploys its FiberVision® platform, supporting academia, and the pharma, biotech, and crop sciences industries in their drug discovery and development efforts. Immunic AG is a young biotech company based in the Munich biotech hub Martinsried that develops pharmaceuticals in the immunology space, in particular for autoimmune diseases or diseases that have an important immunology component in its pathogenesis. Immunomic Therapeutics, Inc. (ITI) is a privately-held clinical stage biotechnology company is pioneering the study of the LAMP-based nucleic acid immunotherapy platforms. These disruptive technologies that have the potential to fundamentally improve how we use immunotherapy for cancer, allergies and animal health. Our mission is to develop a disruptive drug discovery platform with the goal to discover the next generation of G Protein-Coupled Receptor (GPCR) medicines. 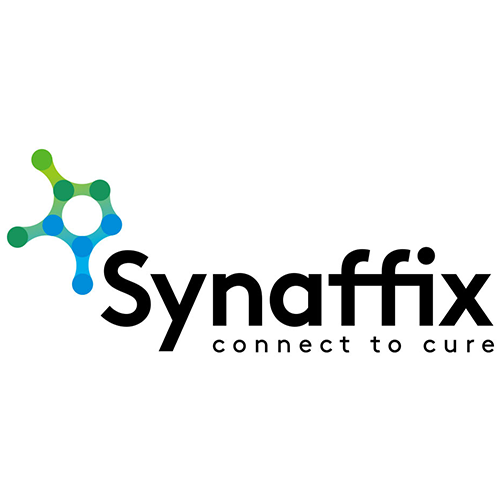 InterAx is developing different assets for the discovery of functionally selective drugs with improved efficacy and reduced side effects for the largest class of human receptors. InterAx will give access to its platform to Biotech/Pharma for specific targets and generate partnership projects for GPCR drug discovery. The uniqueness of InterAx lies in the combination of protein-based IP-protected biosensors and mathematical modelling of signaling pathways. Besides opening new doors in classical drug discovery, the InterAx technology presents high relevance in precision medicine. The InterAx Biosensor Technology Platform will allow for the first-time quantitative comparison of drug-induced GPCR signaling pathways and therefore the identification of selective lead molecules for GPCRs. Such functional selective compounds activate exclusively beneficial cellular responses and thus at the same time avoid adverse effects. ​Lytix Biopharma’s technology is based on nature’s own defense mechanisms. The membranes of cancer cells are destroyed. Our unique technology is a new class of cancer immunotherapy that activates the patient`s own immune system. Lytix Biopharma’s strategy is to develop its drug candidates to end Phase II, and then collaborate with partners for the final stages of product development and commercialization. MAB Discovery is currently searching to finance its Spin-Off, MAB Biopharmaceuticals AG. MAB Biopharmaceuticals will focus on superior antibodies to transform immunotherapy. Intially it will focus on two programs, one antagonistic multi-cytokine blocker and one agonistic antibody in the area of inflammatory disorders and cancer. Both programs are ready to enter preclinical in vivo profiling with the aim to enter the clinic in 24 months. The intent is to build up a Translational Organisation and to move an entire portfolio of molecules up to human POC. MAB Discovery, based in Munich, is a provider of exceptional therapeutic monoclonal antibodies derived from rabbits. It produces monoclonals with unprecedented epitope coverage and potency, and no need for affinity maturation. MyCartis’ goal is to deliver innovative solutions for fast and cost effective identification of a patient’s specific signature of biomarkers. On our road to validate biomarkers on a larger scale, our intention is to build a bridge between research and medical practice by developing broadly available multiplexed biomarker solutions through technology (Evalution™) and bio-assays. The new multiplexing solution Evalution provides a ‘one technology fits all’ solution to enable researchers and assay developers to validate their biomarkers and to utilize and commercialize them. Evalution now provides anyone the opportunity to build multiplex assays for their biomarkers and to easily measure them in a fast, accurate and robust way. Our vaccines are designed to induce protection against early transmission and infection, focusing both on the mucosal immune response as a first-line defense and the systemic humoral (blood) immune response, which, for some pathogens, may be essential for the development of an effective prophylactic vaccine. Our unique approach has resulted in the development of a rich pipeline of vaccine candidates for HIV-1/AIDS, intra nasal Influenza, Malaria, Respiratory Syncitial Virus (RSV) and Chikungunya. Our delivery platform is being validated through partnership with leading pharmaceutical or research organisations. Mymetics Corporation (OTCQB: MYMX) is a Swiss based biotechnology company, with a Research Lab in the Netherlands. The company is registered in the US and trades on the OTCQB. ​Through our US-UK network, we source, develop and manage early/mid-stage healthcare technology companies focused on Diagnostics, Digital health and Therapeutics. Novaremed is a pharmaceutical company that utilizes a highly innovative proprietary library of small molecules to develop safer and more efficacious drugs for chronic and life-threatening diseases. ​Novaremed holds a highly innovative and attractive compound pipeline that is based on its proprietary library of small molecules identified from a biological substance with anti-inflammatory therapeutic properties. Novaremed's lead compound - NRD135S-E1 – is in development for neuropathic pain. Oncomatryx therapeutic approach is focused on the development of novel precision drugs that target proteins located in the tumor microenvironment. A novel route to cancer treatment, directed not against tumor epithelial cells, but the stromal cells that promote their invasiveness, immune suppression and drug resistance. 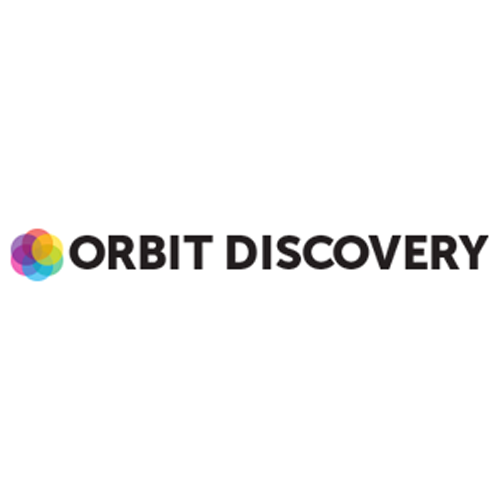 Orbit Discovery Ltd is a spin-out from the University of Oxford. Our technology is an enhanced DNA-encoded peptide display technology which was developed by Prof Graham Ogg at the Weatherall Institute of Molecular Medicine to address the need for a display technology able to probe the cell surface. The initial objective was to present random peptides to T-cells with unknown specificity as a way to establish their epitopes – something that was impossible with phage display or mRNA display. Origenis is a leader in small molecule drug discovery with over 15 years of experience in the field. Origenis is a privately owned company based in Martinsried, Germany. Origenis runs its own patented Drug Discovery platform MOREsystem®. The unique platform combines state-of-the-art drug design, patent analysis, chemical synthesis and biological characterization performed in an integrated manner on 20.000 square feet of integrated lab space. OSE Immunotherapeutics is a biotechnology company dedicated to the development of innovative immunotherapies which act on effector and suppressor cells to stimulate or inhibit the body’s immune response, and to restore immune disorders in the fields of immuno-oncology, autoimmune diseases and transplantation. These new generation products are optimized to better target key receptors of the immune response’s activation or regulation, thus allowing for longer therapeutic effects. Oxford BioMedica (LSE:OXB) is a world leading gene and cell therapy company focused on developing life changing treatments for serious diseases. Oxford BioMedica and its subsidiaries (the 'Group'') have built a sector leading lentiviral vector delivery platform (LentiVector®) through which the Group develops in vivo and ex-vivo products both in-house and with partners. The Group has created a valuable proprietary portfolio of gene and cell therapy product candidates in the areas of oncology, ophthalmology and CNS disorders. 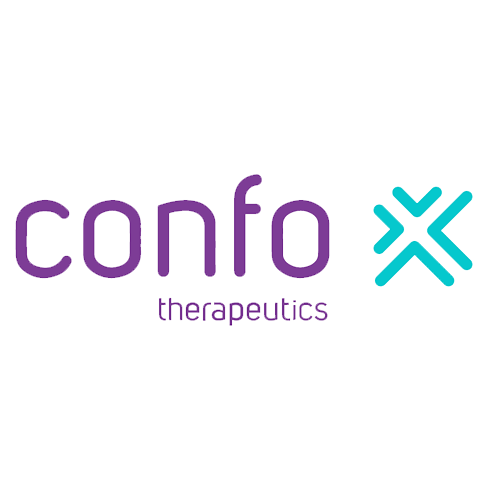 The Group has also entered into a number of partnerships, including with Novarti, Sanofi, GSK and Immue Design, through which it has long-term economic interests in other potential gene and cell therapy products. Oxford BioMedica is based across several locations in Oxfordshire, UK and employs more then 250 people. Purdue Pharma L.P. is a privately held pharmaceutical company founded by physicians more than 60 years ago. We are committed to improving patients’ lives in meaningful ways by providing effective therapies along with educational tools that support their proper use. Purdue Pharma is a member company of a global network of independent associated companies which are engaged in the research, development, production, and marketing of prescription and over-the-counter medicines and healthcare products. Distinguished by our pioneering research, products, and medical programs directed toward alleviating pain, Purdue Pharma is an industry leader in pain medication research and abuse-deterrent technology. We are pursuing a promising pipeline of new medications through internal research & development and strategic industry partnerships. At Purdue Pharma, we embrace our mission to find, develop, and introduce innovative medicines that meet the evolving needs of healthcare professionals, patients, and caregivers. Realm Therapeutics is a biopharmaceutical company passionately committed to leveraging its proprietary technologies to protect and improve the health of adults and children. The Company's drug development focus, utilizing its immunomodulatory formulations, is targeted initially on developing small molecule therapies in inflammatory diseases with potential application in dermatology and ophthalmology, and the potential for broad applicability across a number of other diseases. Founded in 2009, Sensorion is a French biopharmaceutical company dedicated to the development of targeted and innovative therapies to treat such disorders and fill the currently unmet medical needs. The company is located in Montpellier (France). At the interface between academic research and industrial development, we adopt a multidisciplinary approach in collaboration with various partners in the ENT field (researchers, clinicians…) to develop new drugs. SOM Biotech (SOM) is a clinical-stage biopharmaceutical company established at the Barcelona Science Park with the mission to discover and develop new indications of already known drugs (repurposing) through a profitable private company committed to its shareholders, employees and society. Our work includes drug discovery, pre-clinical validation, patenting, clinical proof of concept and licensing of already known drugs. SOM has special interest in rare diseases. Our proprietary virtual screening platform is based on an in-silico computerized approach and the drug development is driven by a dedicated team of experts and strategy advisors. At Sutura Therapeutics we are driven to deliver excellence through innovation to address current clinical translational bottlenecks in order to positively impact on areas within both rare and age-related diseases. We have proprietary platform technologies to enhance the tropism and delivery efficiency of antisense oligonucleotide based gene medicines and are building a diversified portfolio of targeted therapeutic candidates. 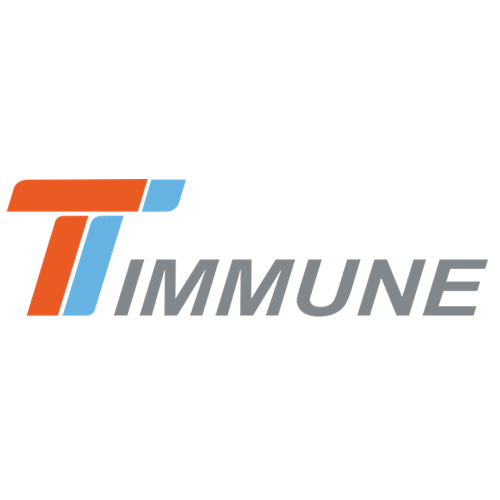 TaiwanJ is a pharmaceutical company dedicated to the development and commercialization of first-in-class small molecules for unmet medical needs. The Company's drug development strategy is to reduce time-to-market, lower clinical risks, and minimize development costs by re-profiling approved drugs and adapt the fast regulatory path. In addition, the company is developing a rich pipeline of novel chemical entities (NCEs) for therapy to address chronic liver disease, inflammatory bowel disease, and rheumatoid arthritis, as well as organ damage to the kidney and the lung. Specific diseases targeted include liver inflammation, liver fibrosis, NASH, NALFD, and autoimmune diseases including rheumatoid arthritis and Crohn’s Disease. TaiwanJ seeks product development collaborations and strategic alliances to develop its pipeline of products into the market. The company plans to float an IPO by 2017 on the Taiwan stock market. Arming the patient's immune system to fight cancer: Targovax (OSE: TRVX) is a clinical stage immuno-oncology company developing targeted immunotherapy treatments for cancer patients. Targovax has a broad and diversified immune therapy portfolio and aims to become a world leader in its area. The company is currently developing two complementary and highly targeted approaches in immuno-oncology. ONCOS - 102 is a virus-based immunotherapy platform based on engineered oncolytic viruses armed with potent immune-stimulating transgenes targeting solid tumors. This treatment is designed to reactivate the immune system's capacity to recognize and attack cancer cells. TG01 and TG02 are part of a peptide-based immunotherapy platform targeting the difficult to treat RAS mutations found in more than 85% of pancreatic cancers, 50% of colorectal cancer and 20-30% of all cancers. Targovax is working towards demonstrating that TG vaccines will prolong time to cancer progression and increase survival. These product candidates will be developed in combination with multiple treatments, including checkpoint inhibitors in several cancer indications. Targovax also has a number of other cancer immune therapy candidates in the early stages of development. In July 2016 the Company listed its shares on Oslo Axess, securing funding for further development of the Company’s ongoing and planned trials. ThromboGenics is a global biotechnology company developing innovative treatments for diseases of the back of the eye, with a focus on diabetic eye disease. Our first product, JETREA® (ocriplasmin), has been approved in 54 countries worldwide. The company is strongly committed to R&D on treatments for retinal disorders such as diabetic retinopathy (DR) and diabetic macular edema (DME). ThromboGenics is headquartered in Leuven, Belgium, with offices in Iselin, NJ (US). The company is listed on the NYSE Euronext Brussels exchange under the symbol THR. Timmune is an emerging biotech company incorporated in China. Timmune is focused on T cell redirected immune-oncology. Timmune’s core value is in its technology platforms producing in batches first-in-class therapeutics, for the treatment of cancers, to target at intracellular cancer antigens, to redirect T cells, and to improve in-tumor micro-environment. Our products are both fusion protein molecules and cell based. Our technology platform produces fully human single domain antibodies that bind to MHC-peptide complexes, called “MHC Antigen Receptor” (MAR) or “TCR-like Antibody”. These MAR antibodies are strong alternatives to the TCR technology. TriTE (Tri-functional T cell Engager) technology is a fusion protein platform that has 3 functions: T cell engagement, T cell stimulation, and check point blocking. The cancer antigen binding domain can be replaceable – using our proprietary MAR single domain antibodies, or using any other antibodies or TCRs. MAR-T technology is CAR-T using a unique MAR-TriTE construct, which binds to MHC complexes to target at intracellular targets, as well as stimulate T cells and block check point at the same time. Timmune is led by a team with international biotech experience and expertise, especially strong in science and R&D, clinical development, and business development. Timmune has a state-of-the-art laboratory (900 m2) and an animal facility (500 m2) located in Tianjin, and operates the Timmune-JSPH Center for Clinical Translational Studies (2,000 m2, co-operated with Jiangsu Province Hospital) in Nanjing. ​Timmune is seeking global strategic partners to develop / out-license MAR-TriTE (such as MAR-TriTE/WT1, MAR-TriTE/GP100), MAR-T (such as MAR-T/WT1, MAR-T/GP100, MAR-T/ESO1), and/or a number of MAR binding domains. TxCell is a biotechnology company that develops platforms for innovative, personalized T cell immunotherapies for the treatment of severe inflammatory and autoimmune diseases with high unmet medical need. TxCell targets a wide range of inflammatory diseases (both T-cell and B-cell-mediated) including Crohn’s disease, lupus nephritis, bullous pemphigoid and multiple sclerosis, as well as transplantation-related inflammatory disorders. Unicyte AG is a transformative regenerative medicine company advancing stem cell technologies into a novel class of human therapeutics. Unicyte has translated its ground-breaking discoveries into a broad pre-clinical pipeline in key therapeutic areas. The company evolved from a twelve year research collaboration with Prof Giovanni Camussi, a leading expert on extracellular vesicles and stem cells from the University of Turin and Fresenius Medical Care KGaA, the world’s largest provider of products and services for individuals with renal diseases. Unicyte was founded in 2015 as an independent affiliate of Fresenius Medical Care and is headquartered in Oberdorf NW, Switzerland. Since our founding in 2004, Vaxart has pursued a vision of developing vaccines that can be administered by tablet rather than by injection. ​Vaxart is a privately held, clinical-stage company. We believe that our proprietary oral vaccine delivery platform is suitable to deliver recombinant vaccines, positioning Vaxart to introduce oral versions of certain vaccines. Our platform technology is intended to allow for rapid development of vaccines in order to address emerging threats or fast-moving outbreaks. Our goal is to develop a vaccine in a matter of weeks and deliver it in a variety of situations, including those with limited infrastructure. 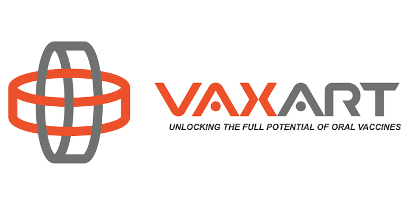 VAXIMM is a Swiss- and Germany-based biotech company that is developing oral T-cell vaccines as immunotherapy for patients suffering from cancer. Our oral T- VAXIMM's oral T-cell vaccine platform is based on an approved, live attenuated bacterial vaccine, which has been applied in millions of times, and which is safe and well tolerated. To yield our oral T-cell vaccines, the bacteria are modified to deliver a eukaryotic expression plasmid, which encodes the genetic information of a specific target antigen. After ingestion of the vaccine, patients develop a cellular immune response (specific cytotoxic T-cells) against those targets. The so-generated killer cells may then seek and destroy tumor or tumor stromal cells in the patients' body.